It’s spring so I am spending a disproportionate amount of time outdoors, so, people, if good things are happening indoors: meetings, rallies, good/helpful/talented people, etc. I really need your help. Please write and tell me about them. One last thing, I welcome the opportunity to spread the word of Haverhill’s good news, so if you like the blog, click the FaceBook share button at the end so your friends can read it, too. 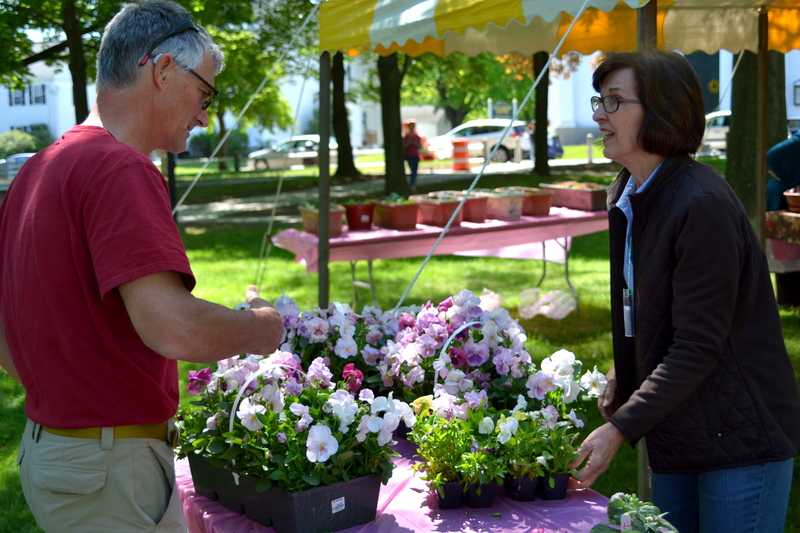 This week the property management’s “landscapers” mistakenly chopped down my soon-to-bloom peonies, astilbe, and assorted wildflowers with a weed whacker and that prompted my visit to Bradford Common for the annual Haverhill Garden Club plant sale. I live in a townhouse where each resident gets a very minimal amount of cultivable area. Though I regularly plant tomatoes, herbs, and flowers, I do not consider myself a gardener, I just stick stuff in the ground or in pots and hope for the best. And so far that has been enough for me. Enter Haverhill Garden Club. This group’s knowledgeable club members generously share what they know with by-the-seat-of-our-pants planters like me and give us some hope of seeing more bountiful results for our efforts. I loved the way the plants were separated by sun requirement; that made it so much easier to pick what’s likely to grow in my partially tree-shaded, sometimes damp soil. The free cookies, and the raffle kept me shopping longer than I expected. 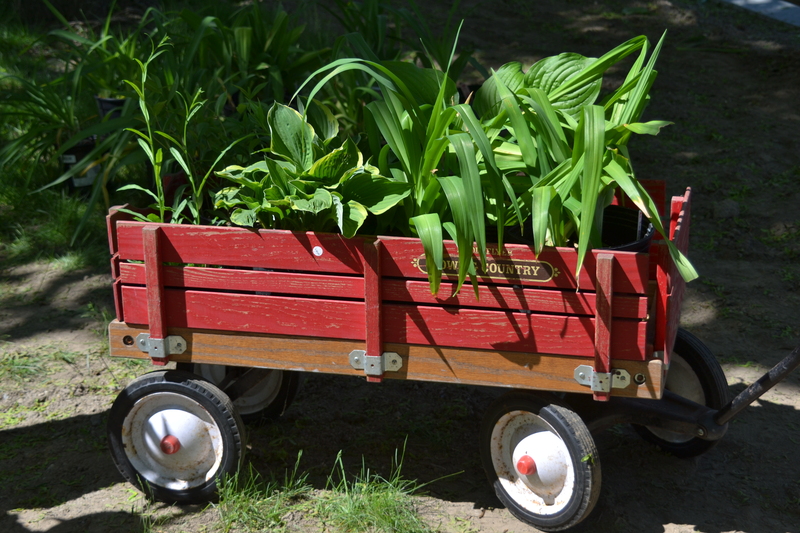 An expert shopper loads a wagon full of great plant deals at Haverhill Garden Club. How many plants in the wagon can you identify? I have been to plant sales for other communities and shopped at Home Depot, Lowes, and Walmart for inexpensive growables but the HGC plant sale combined the best prices with the most well-informed and interesting sales exchanges ever. One woman got me hooked on lemon thyme if only for the opportunity to sniff it after crushing it between my fingers, and she recommended using herbs as centerpieces for a lush fragrant arrangement. My husband recognized my enthusiasm and purchased the plant even though our car was already double stuffed and providing enough oxygen through photosynthesis to qualify as a movable Oxygen Bar. Maybe that was why I was so alert and happy today as we did a few errands with the plants in the car. 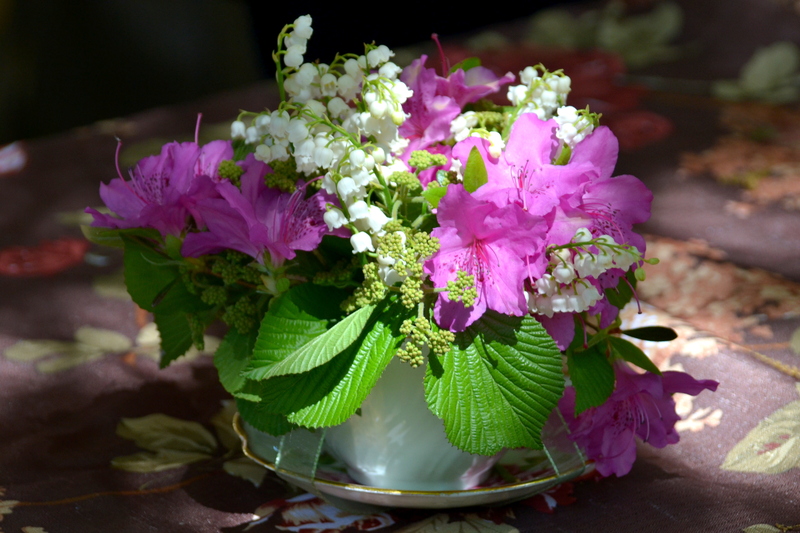 Once home I checked out the Haverhill Garden Club online and it seems the members’ generous spirit extends beyond the plant sale and their own home-grown gardens. When I took my beauty shots of the “Welcome to Haverhill” sign near Kenoza Lake for my last post, I noticed that the group donates and tends to the surrounding plantings. HGC president, Joan Pechnik, selected as a theme for this year’s club: “Enhancing Our Civic Gardens”. 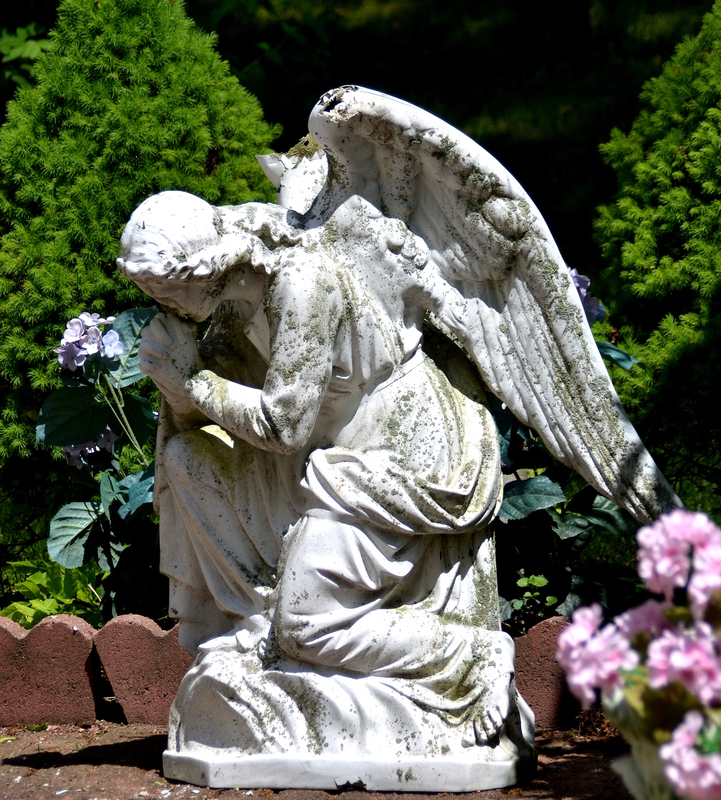 According to its website, “The Haverhill Garden Club has always been a part of the beautification of our community. 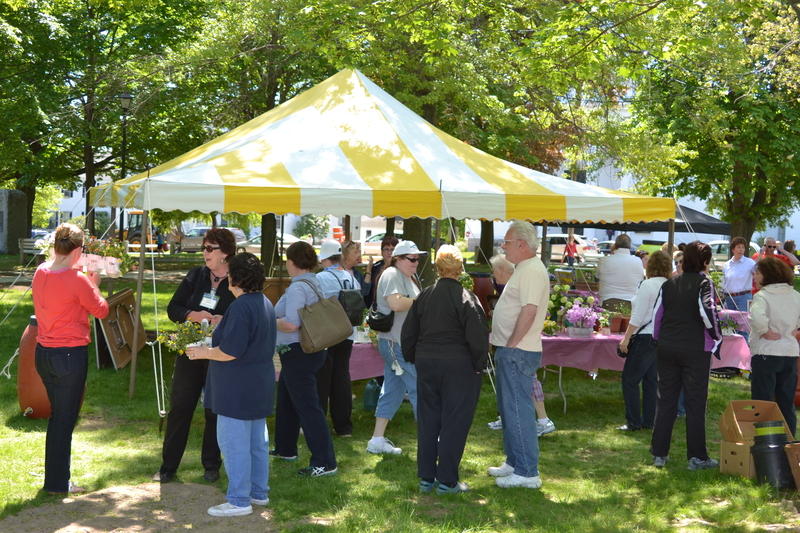 Great strides have been accomplished in our revamping of the city gardens this past spring, but new and exciting ideas have been planned for the future.” It’s easy to see how this group is a source of good news in Haverhill when you look at this year’s agenda http://www.haverhillgardenclub.org/events.html. It will also tell you how they will brighten the day for many of Haverhill’s senior citizens and those conducting town business through their botanical efforts. I bought a few raffle tickets and learned by cell phone that I’d won a prize. When we returned, we found two more cannot-live-without items that we purchased for a close-out price of one dollar and then we were offered a free plant because they were closing up shop. I’ve never been to this event before, but based on the great time and deals I experienced this year, I will be a regular, even if that means I start surreptitiously cultivating my neighbor’s plot. Speaking of neighbors, have you ever been intrigued by someone you’ve never met based solely on a partially shielded glimpse into his or her yard? Well, for 5 years I’ve been wondering about the residents of a house that abuts Farrwood Drive. They have what looks like a little chapel in the back yard, and I figured they might be justices of the peace. So when we saw the Yard Sale sign, my husband suggested stopping and meeting the people I’ve been obsessing about for years. I’m so glad we did. The little oasis is the home of the engaging Peter Giannini. First thought upon entering his property, why are there so many birds singing here? I got my answer almost immediately. Peter collects birdhouses that house real birds! What a novel concept! 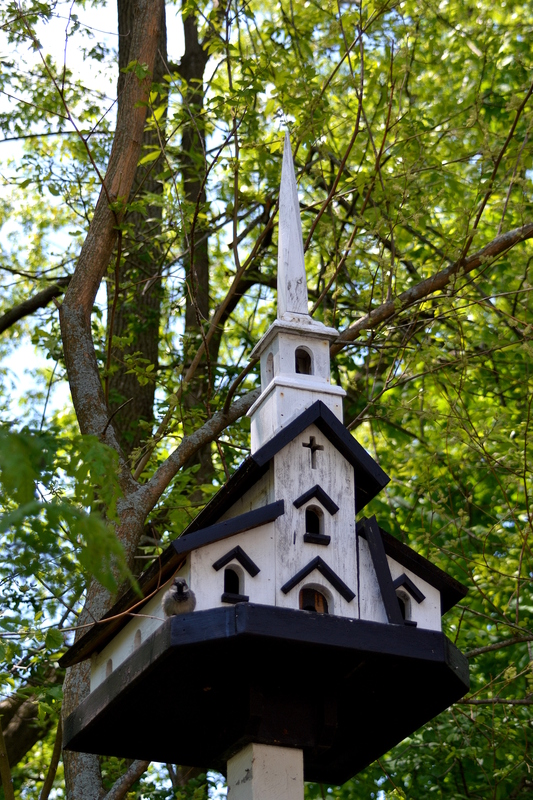 One birdhouse or rather bird church has hosted a congregation of sparrows for 60 years. The property has meandering trails and secluded plant-created alcoves with spots for meditation and religious contemplation. It is charming and quirky, bright and colorful, and mostly quiet until the watch goose catches sight of you. One more thing off the bucket list – I finally entered this secret garden. I was at the plant sale for the first time today – picked up some irises and also won a raffle prize! Irises packed my car, too, spent the remainder of the afternoon getting my purchases into the ground.,….BTW I won the patio planter pack prize, what did you win? Did you look for yourself in the crowd shot? Thanks for reading and commenting. I won the two blue and white birdhouses – I’ll have to go back and look at the picture! They were adorable. 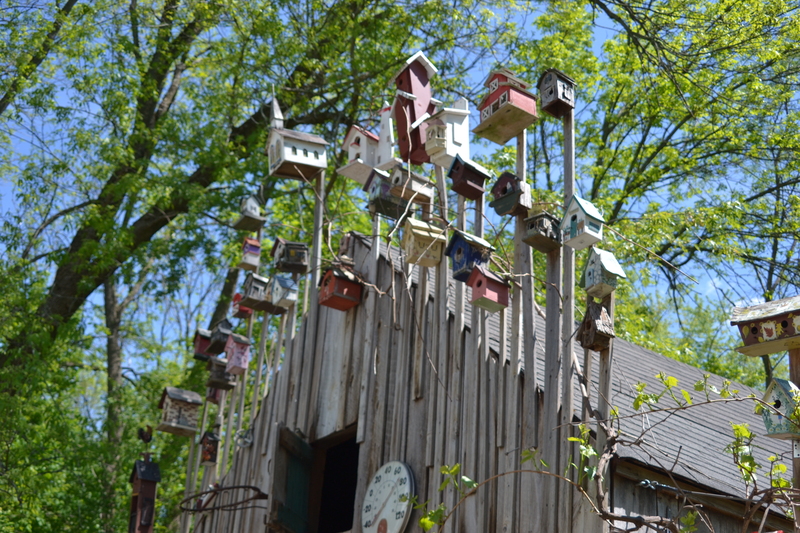 Did you see at the end of my blog, the garden I visited where the gentleman collects birdhouses and lets birds use them….I only ever see pretty ones as objet d’art so that was a novel experience for me. 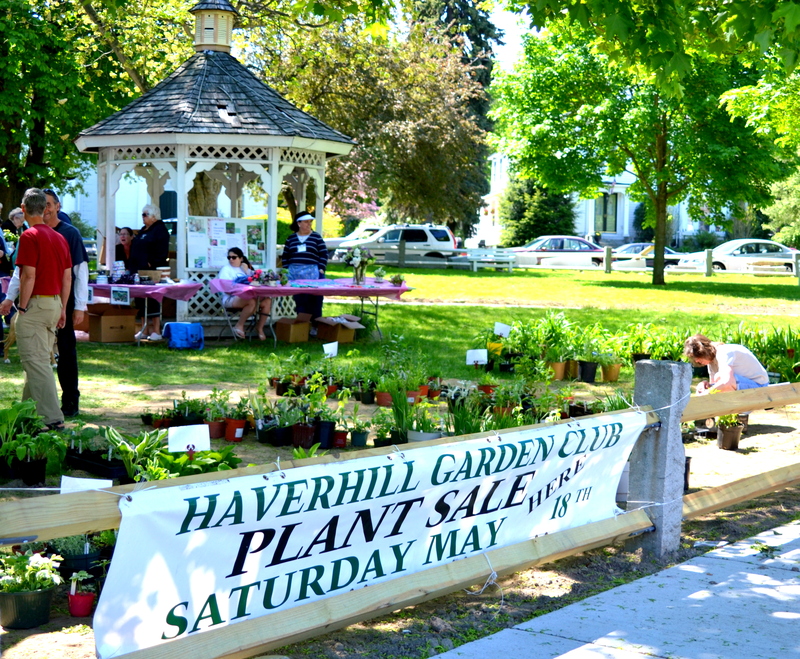 The Heartbeat of Haverhill wrote about the Haverhill Garden Club last year. It is an excellent value and fun day. Here i the updated information for 2014. Our biggest fundraiser of the year—make sure you find a way to participate to make this one the best ever! 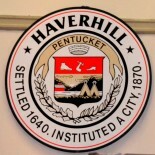 Proceeds from the sale are used to purchase plant material for the Welcome to Haverhill Signs as well as the several Civic Gardens that are maintained by the Club in the City of Haverhill. When: 8:30 a.m — Sale starts at 9:00 a.m., rain or shine! This entry was posted on May 18, 2013 by Brain4Rent/THoH in Bradford MA, Good news, Haverhill, photography, Uncategorized and tagged Alison Colby-Campbell, bird house, Birdhouses, Bradford Common, BRADFORD ma, Brain4Rent, garden club, Gardener, gardening, Haverhill Garden Club, Haverhill MA, photography, plant sale, plants. Never miss the Good News about Haverhill. Follow this blog. Full-brain user demonstrating a healthy(?) obsession with marketing, promotion, writing, photography, house rabbits, the natural world, tennis, big and small problem solving, reading, hiking, HGTV and the flotsam & jetsam of everyday life. My three blogs Brain4Rent, The Heartbeat of Haverhill, Alison Colby-Campbell Photography are Wordpress based.